"In June this year, Barbara met me, my husband and a close friend in Johannesburg for a South African safari to the Zimanga Private Reserve. Prior to our departure, she helped us with flight arrangements and shared her vast knowledge about photography and South African wildlife. Thanks to her insights, our preparations for our trip from Colorado was seamless. Our photo safari to Zimanga would be the trip of a lifetime for us. To make sure we would each come home with quality photographs, Barbara met with us several times to help us become more familiar with our cameras and to give us insights into wildlife photograph. One of those meetings was at the Cheyenne Mountain Zoo where she offered us tips and real-life experience about photographing wild animals. Barbara was always patient and encouraging. 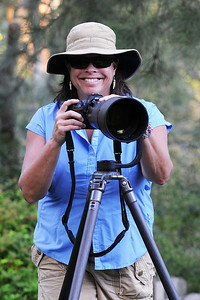 But what we admired most is how enthusiastic and passionate Barbara is about wildlife photography and conservation.